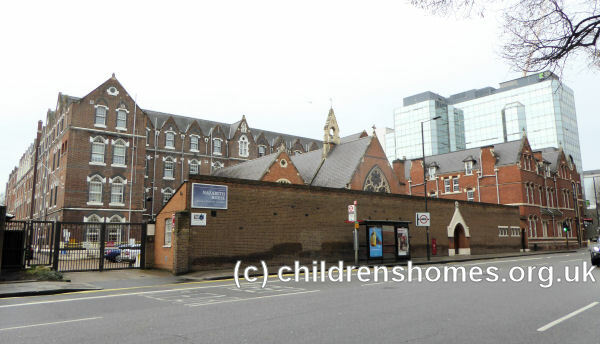 Nazareth House, on what was then King Street East (now 171-175 Hammersmith Road), London SW6, was opened in 1857 as the first permanent base for the Sisters of Nazareth who had arrived in England six years earlier to establish a home for the elderly poor. The good Christian women engaged in this work of benevolent piety, to which they devote all their time and labour, as well as their private fortunes and social influence, are worthy of sincere reject and hearty good wishes. 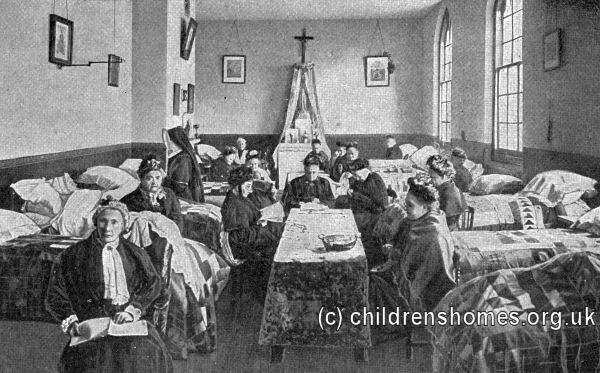 There are more than 300 inmates of the House of Nazareth; a score of old men, none under seventy-three years of age, and about a hundred old women, employed in such work as they can do for their own comfort; about fifty children, who are cripples or incurably diseased; and a certain number of babes, like those reared in the Foundling Hospital, the illegitimate offspring of repentant erring mothers. The whole establishment is under strict though cheerful discipline and regulation, with the superintendence of highly respectable clergymen. 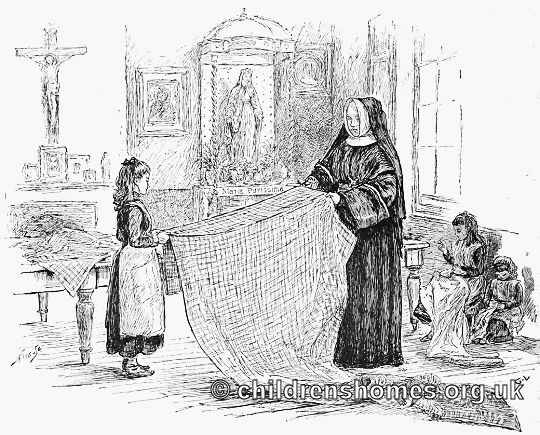 There are no hired menials ; but the Lady Sisters, who call themselves "The Little Sisters of the Poor," do all the drudgery of the household, besides going daily round that part of town to beg alms for its support. 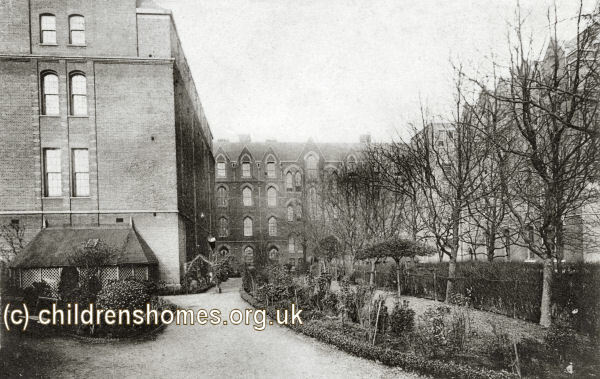 Nazareth House, Hammersmith site, c.1897. 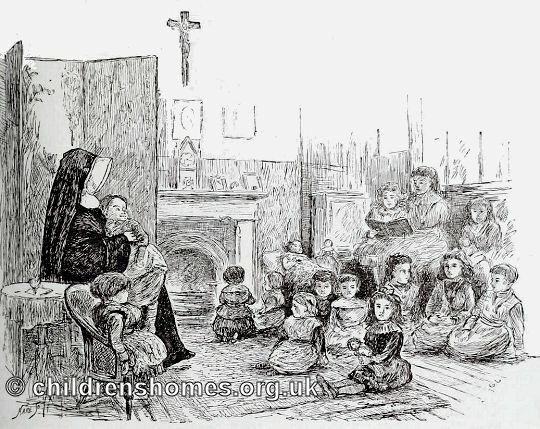 By 1891, there were sixty nuns in residence, providing care for 250 children and around 230 elderly people. 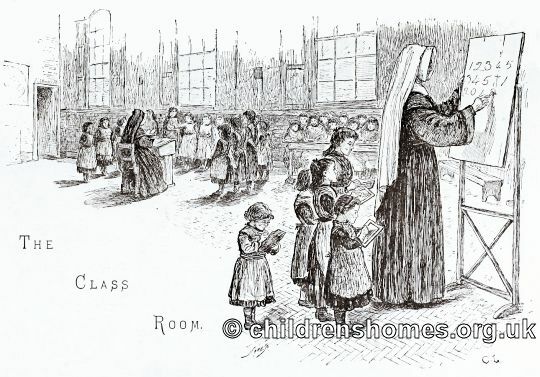 The children taken in were primarily girls although a few young boys were also accommodated. Children were admitted from the age of one year upwards. No payment was required, except for an entrance fee to defray bedding expenses. 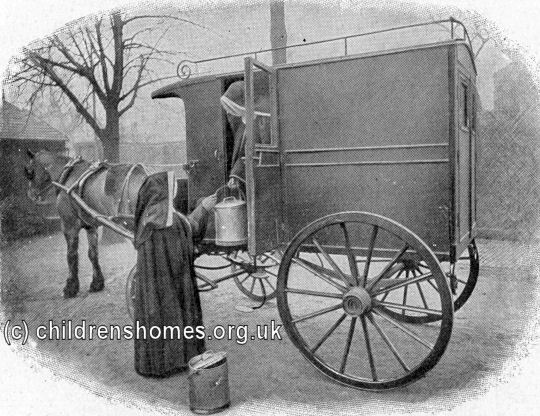 The Hammersmith Nazareth House is still in operation today. Although children have not been accommodated since the 1970s, the establishment still provides care for the elderly.